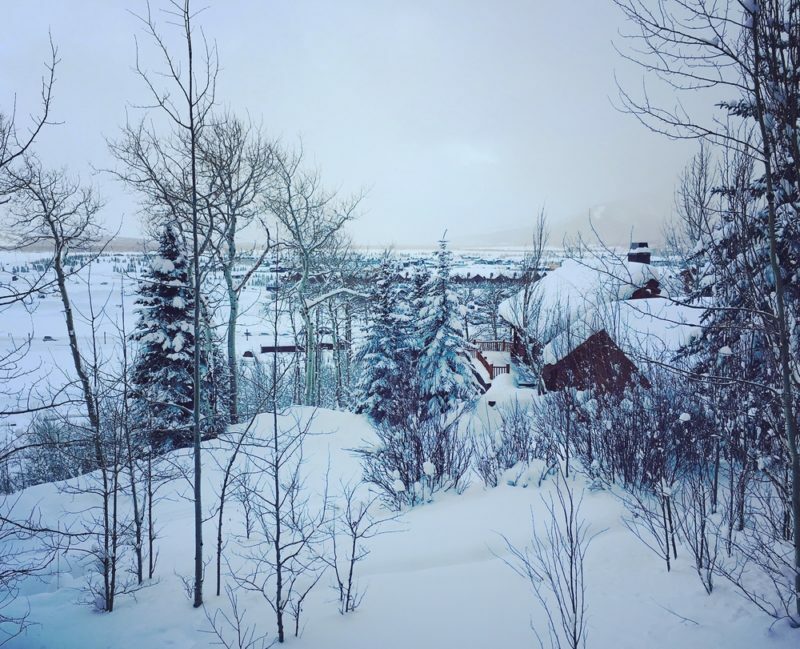 This past February I went with my family on a winter wonderland vacation in Jackson, Wyoming. This is a wonderful place to check out in the summer too. Jackson is actually the town in the Jackson Hole valley of Teton County, WY and the ski resort is called Jackson Hole Resort. 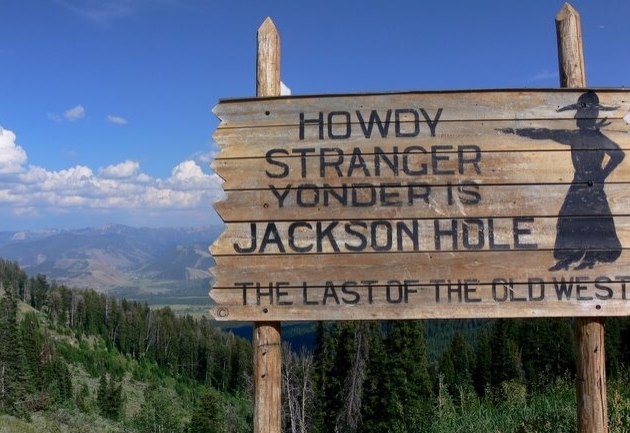 Most people just call this area Jackson Hole instead. Yes, it’s confusing. Flying into Jackson isn’t cheap (nor is any other part of this trip). It’s a very small yet awesome airport. When we arrived they were handing out mimosas when you walked in the “terminal”. Why can’t every airport do this? I guarantee everyone would be calmer and care less about missing a flight. 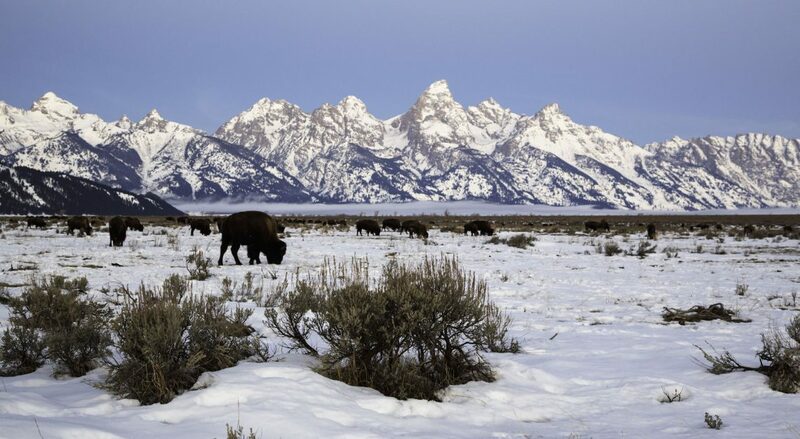 Fun fact – It’s the only airport in the United States that’s in a national park (Grand Teton). We rented an SUV through Hertz ahead of time from the Jackson airport. Obviously, make sure it’s 4WD/AWD. The folks in Jackson really know how to handle those icy roads, so you’ll want to blend in. Travel Tip – ship your ski/heavy winter gear ahead of time to the cabin where you’re staying. Ski gear is very heavy and takes up a ton of space, doing this will allow you to have more room in your suitcase. At the end of the trip just make a stop at FedEx and ship it back home. We stayed at Rendevous Mountain Rentals (specifically, the Granite Ridge Cabins). They were phenomenal and everything you would want in a luxurious mountain cabin retreat. We had a hot tub outside on the deck. There’s just something magical about hopping into a hot tub after a long day of skiing with sore muscles watching the snow falling around you as you enjoy a beer. Winter wonderland perfection. A brilliant company called Ski Butlers came to our cabin to outfit us with our ski rental gear. This is the greatest service ever! We’re experienced skiers, but going to the ski rental shop and bringing them back where you’re staying is always a hassle (plus it smells like feet in there). They arrived at our cabin with everything needed for each person which made it so much easier getting ready to hit the slopes. The return was simple too – we put them outside by the garage and they picked them up. We skied all around Jackson Hole. Something you should be aware of is that the terrain is some of the most difficult in the country. Some of the blues are very steep and feel like blacks; plus, there’s a lot of trails between the trees if you’re looking for something a little more adventurous. You can also take the tram to the top of Rendezvous Mountain which is the highest peak at 10,450 feet, and then take the Rendezvous Bowl run down. The view at the top of this peak is unreal. You can even just go up for the view then ride the tram back down if you’d like. We went snowmobiling two separate, full days arranged through Scenic Safaris. This was one of the coolest life experiences for me. First off, our guide picked us up in a shuttle bright and early at 6am, took us to the main ranch where we had a hot breakfast, and then outfitted us with intense snowmobiling gear (boots, one-piece suit, helmet, and gloves). At first, I thought the gear was a bit over the top (after all, I was in my ski gear already) but I was wrong; we actually put their gear OVER our ski clothes. You’ll feel like a marshmallow and an astronaut at the same time but will be thankful you’re warm. We went 120 miles through Yellowstone and saw wildlife, geysers, springs, and absolutely beautiful views. Wow!!! Thanks for taking me along on this trip. I feel like I got a taste of what it was like there. Love all the tips too. 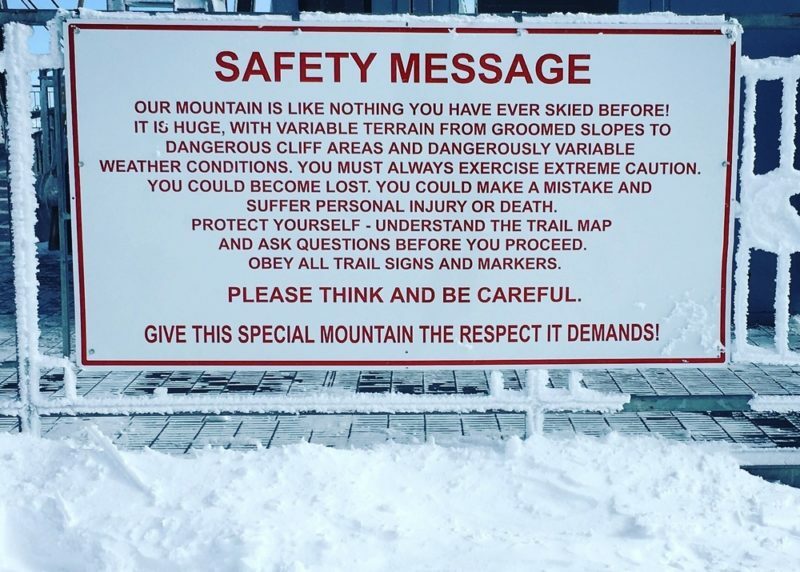 I’m not a skiier but you made me want to! Keep up the great work! Thank you, Mary Lu! This is definitely a gorgeous area year round! This is one of my very favorite places to escape. I’ve only been there in the summer but love to get lost in nature and the mountains to recharge. I want so badly to go through Yellowstone in the winter too! I can’t imagine driving their roads though because that pass over into Jackson Hole is legit. Miss you! I need to go explore there in the summer like you since I’ve only experienced it in the winter! 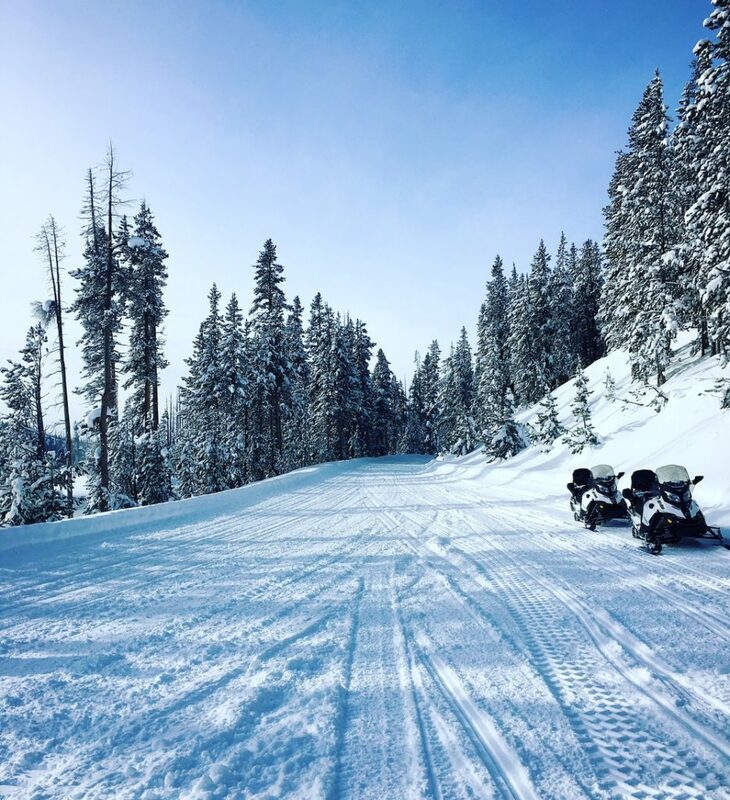 Ummm yes, Yellowstone in the winter is pretty magical when you get the chance (especially on snowmobiles). Miss you!! Looks like it was an amazing trip, friend!